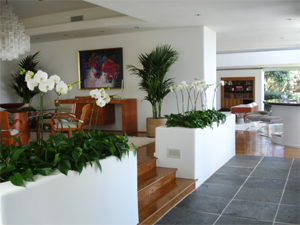 YPS Botanicals provides upscale professional interior plantscaping services and plant maintenance services for business and residential throughout the greater Los Angeles area. This includes Design, Installation and Maintenance. Additional services include refurbishing existing plantscapes, event rentals, centerpieces and color rotations. YPS Botanicals is a mid-sized, multi-faceted plant service enjoying steady growth and an expanding satisfied client list. Our company supports staff, equipment and resources sizable enough to respond to the needs of the larger corporate client, while providing friendly, personalized and detail-oriented plant care for the most discriminating high-end office settings and residential homeowners. Our Management Staff, headed by the owner Elizabeth Hershenson offers horticultural expertise stemming from over 35 years of academic and field experience. Continuing our long tradition, our mission is to provide the best and healthiest plants for our customers at competitive, affordable prices. YPS Botanicals is proud to be a member of the Plantscape Industry Alliance (PIA), Building Owners and Managers Association (BOMA), and Executive Women International (EWI). Click on image to view our gallery. Ideal to install in any lobby, reception area, and all high traffic areas. 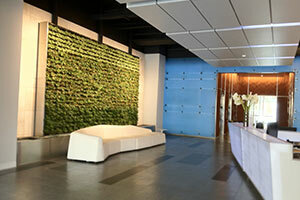 Beautify your Home with Living Wall Art! Copyright © 2019 YPS Botanicals. All Rights Reserved.